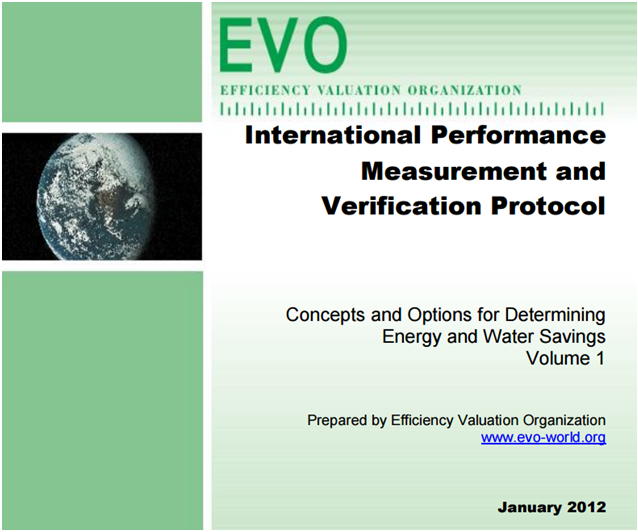 The International Performance Measurement and Verification Protocol – (IPMVP) has established a conceptual framework that outlines the different approaches to estimating savings. This basic framework was adopted in the most part by other guidelines in the industry, such as ASHRAE Guideline 14, and the Federal Energy Management Program M&V Guidelines, which provide useful guidance for M&V professionals. 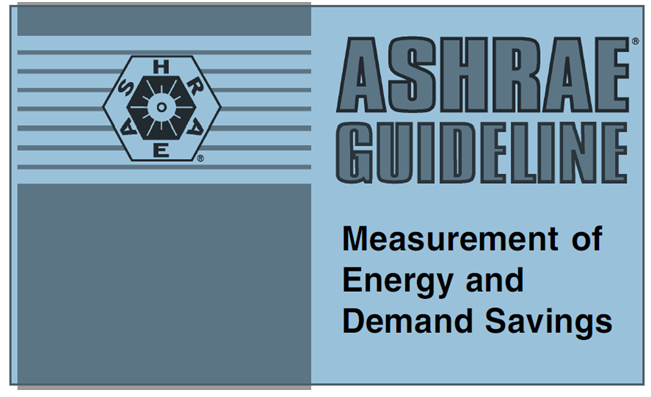 ASHRAE Guideline 14 can be characterized by being more focused on measurements and statistical techniques, while FEMP M&V Guidelines is a more detailed approach to M&V than the IPVMP, and is used for Federal ESPC projects. 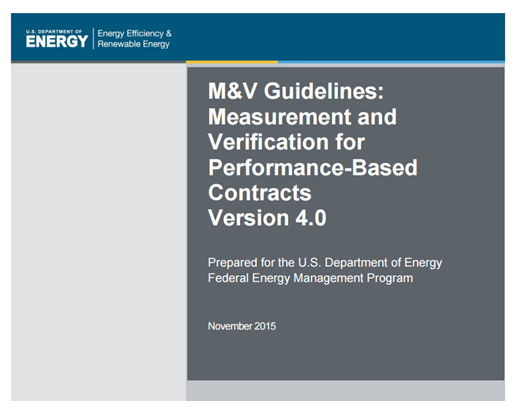 Both the IPMVP and the FEMP M&V Guidelines are downloadable for free, while there is a cost to get ASHRAE Guideline 14.